In my post of May-10-2007 I had posted some pictures of the area adjacent to the Front Entrance and the handicap ramp access to the building. I had posted the drawing for the design of Front-Entrance-With-Handicap-Ramp_Building-in-Wayne-Michigan in my post of May-06-2007. 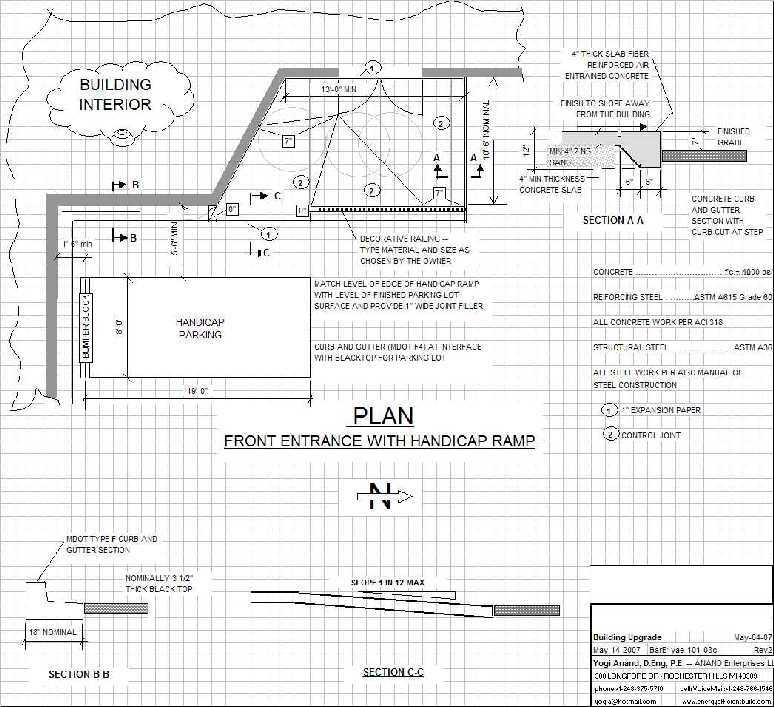 Based on discussions with the Civil Engineer at City of Wayne Building Department, we should be able to simplify the layout of the handicap ramp -- so while it meets the necessary requirements, the new layout should be easier to build as well. In the following I present the revised layout of the Front Entrance and the handicap ramp.